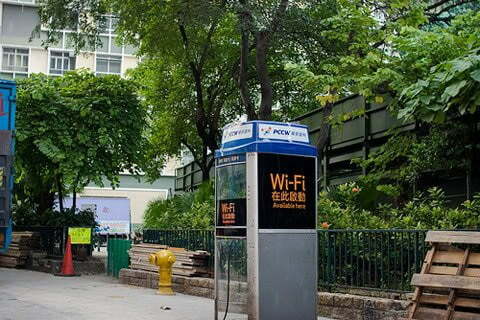 As the Chinese smartphone market nears almost complete saturation and land lines are fading away, the government will begin turning its obsolete public phone booths into Wi-Fi hotspots. According to popular Asian tech blog Mobinode, a local Chinese paper reported that some of the booths are getting less than one user a day and the cost of upkeep and operation for them is a waste. Aside to the spending of unnecessary resources, allowing users to more readily access Wi-Fi would be a boon to the current spotty 3G service in China. But phone booths are reportedly only one piece of the expansion. Implementing Wi-Fi hotspots in locations like restaurants, hotels, and gyms is a larger project. Of course, eliminating public phone use only benefits mobile phone owners, and those without could find themselves with incredibly limited communication access. Largely, however, the current situation results in throwing resources down the drain, so turning what’s quickly becoming an archaic item into a service for the mass majority of Chinese citizens sounds like an all around win. And with as many of the world’s Internet users as China has, you can bet most will be thrilled with improved connection.